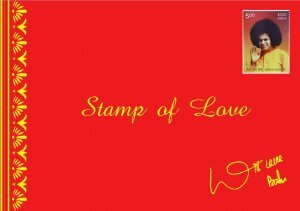 ‘Stamp of Love’ , is a multi-color, small and handy photo gift-book with golden embossing of title and back page with a laminated stamp on the front page. 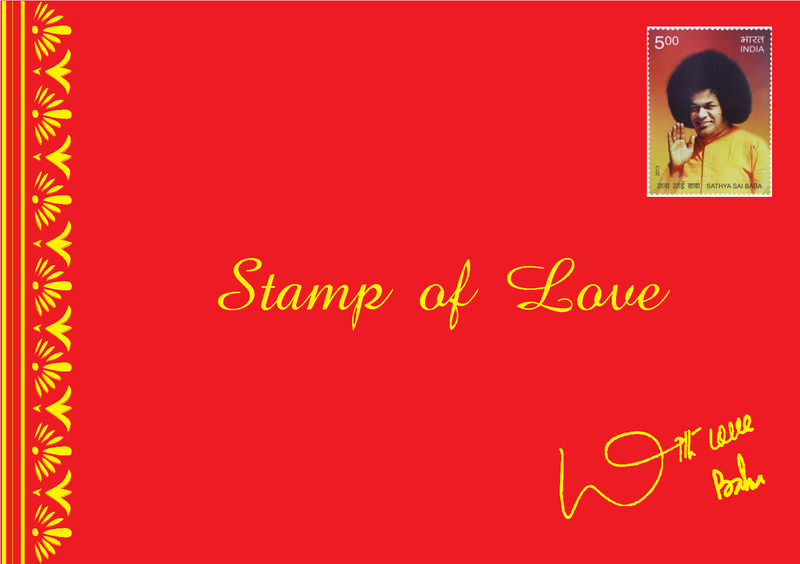 It contains not just stamps, envelopes and Sathya Sai photos but all those memories associated with ( Sai ) philately articles right since the year 1950. Plus it covers both the stamp release functions held during Swami’s Birthday celebrations in Nov-1999 and in Nov-2013 A collector’s item to cherish those memories and also to send it as a gift.